Hong Kong is chosen to host the Global Maritime Forum’s inaugural Annual Summit on 3-4 October 2018.The high-level meeting will convene key industry leaders with policymakers, experts, NGOs and otherinfluential decision-makers and opinion shapers. 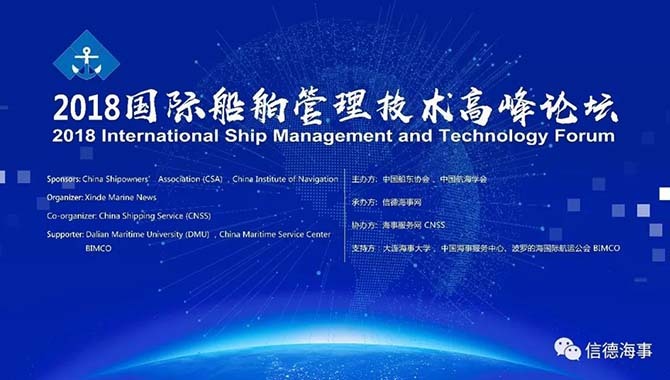 Their task will be to share their ideas on the challenges facing the maritime industry and to develop practical proposals to optimise global seaborne trade, thereby increasing sustainable long term economic development and human wellbeing. “We look forward to welcoming the world’s maritime decision-makers to Hong Kong. Like the ocean, the challenges and opportunities that the maritime industry is facing transcend country borders. They areinherently global and the only way to meet them is to join forces and find solutions in unison. The maritime industry is uniquely positioned to contribute to positive change, both for the industry and society” says Frank Chan, Secretary for Transport and Housing of the Hong Kong Special Administrative Region Government. The Hong Kong Ship Register is the world's fourth largest ship register. The city is a major port hub and it has a strong presence of ship owners, cargo owners and traders. Over the years, Hong Kong has seen a continual expansion of its maritime service cluster, including ship management, ship broking, ship finance, maritime insurance and maritime law and arbitration. “Hong Kong is acknowledged as one of the world's freest and most competitive economies. Open markets are a prerequisite for the maritime industry to strengthen its role and positive impact on global growth and development. In addition, Hong Kong is a leading maritime hub. This makes Hong Kong an obvious location for the Global Maritime Forum’s inaugural Annual Summit and we are very pleased by the support that we have received from the maritime cluster,” says Peter Stokes, Chairman of the Global Maritime Forum. Going forward, the Global Maritime Forum’s Annual Summit will be hosted in cities around the world on a rotational basis. The Global Maritime Forum is an international not-for-profit foundation dedicated to unleashing the potential of the global maritime industry. It is committed to shaping the future of global seaborne trade to increase sustainable long-term economic development and human wellbeing. To serve its mission, the Forum convenes leaders from across the maritime community with policy-makers, NGOs, experts, and other influential decision-makers and opinion shapers from all geographies in a community of purpose to discuss collective challenges and to work together on developing new solutions and recommendations for action. In order to do so, the Forum identifies, develops and shares new insights and key issues on the global agenda and facilitates collaborative projects and initiatives that can deliver long-term impact and sustainable change. The Global Maritime Forum is independent of political and commercial interests and operates in full respect of the important role played by governments and international institutions.